Dropdowns are one of the most important parts of an interactive website. CSS is used to design the drop-down menus. A drop-down is a bunch of lists under an unordered list i.e. <ul> as it is popularly known in HTML world. Nested list (<li>) tags under the <ul> tag used to create drop-down structure. To bring out the effects use CSS for the components present in the structure. 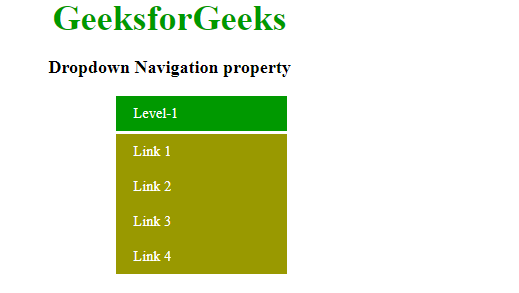 The CSS is very straightforward property used to create the drop-down menu. 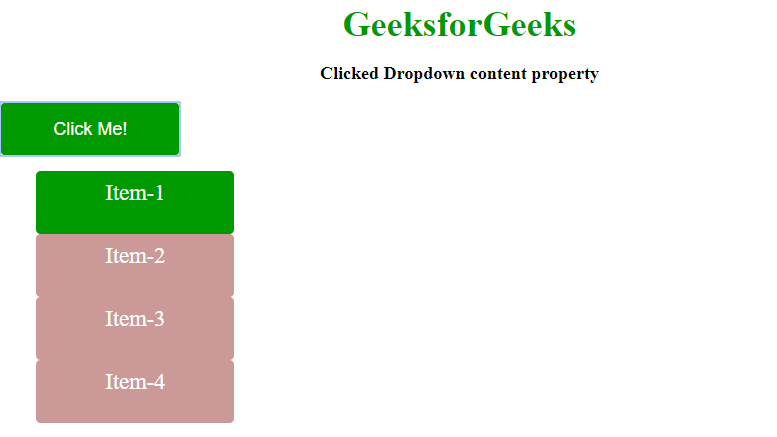 Example: Adding CSS property in HTML structure to create interactive drop-down structure. nav ul li ul li – float is set to none so that it remains intact when we hover over it. Use relative position so that li moves or changes its position relative to its component. Use ‘>’ after hover to see the effect of hover on the immediate next ul of the li. Right-aligned Dropdown: Right aligned dropdown is a dropdown that float value is right to display drop-down content on the right screen. Add float right to the div which holds the content. Image Dropdown: It is not a dropdown but enlarges the image on which you hover. Needs basic CSS and an image to make it work.